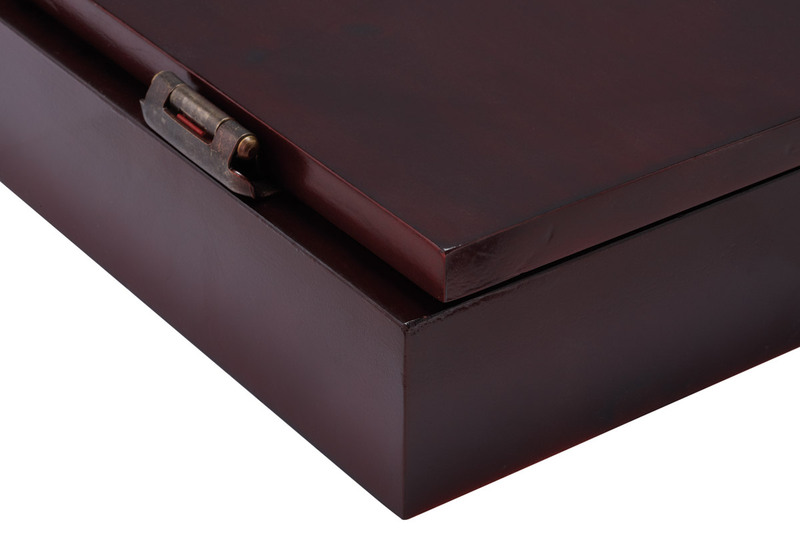 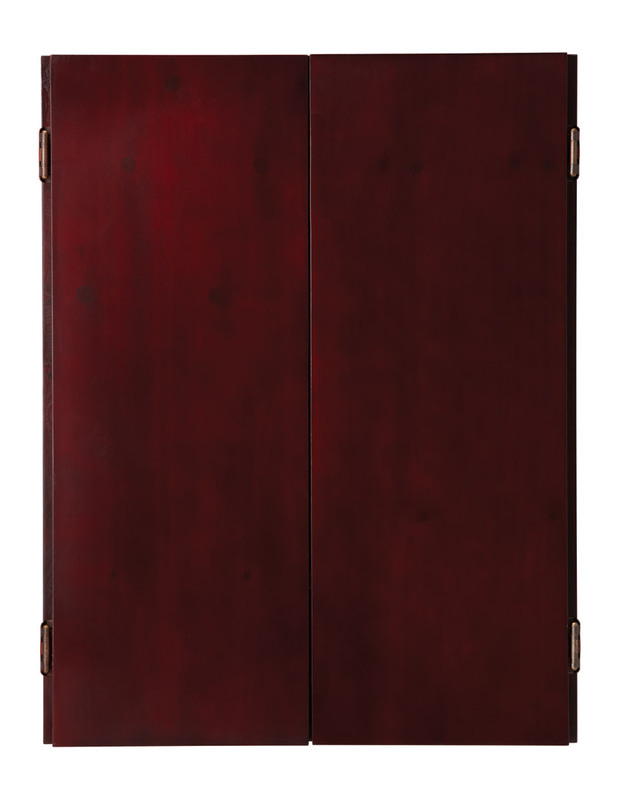 The Metropolitan Steel Tip Cabinet comes in three attractive finishes and offers sleek, high profile cabinet doors. 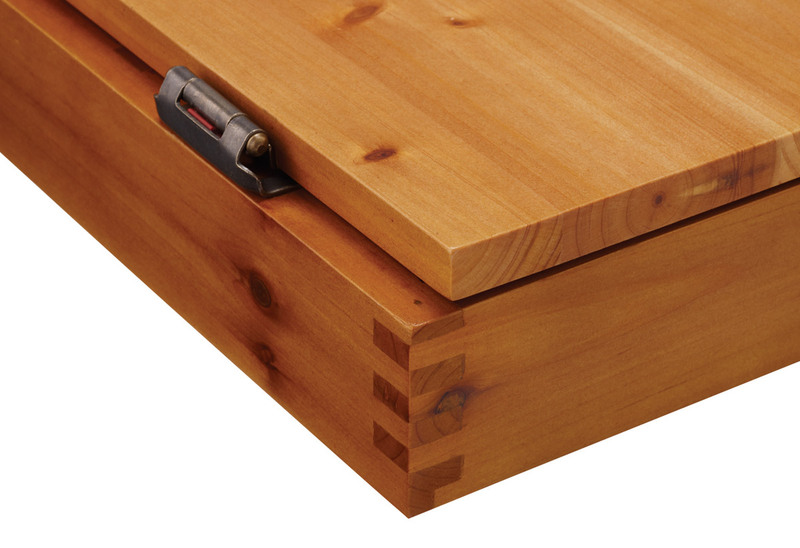 The lower shelf storage area includes a convenient removable dart and accessory holder. 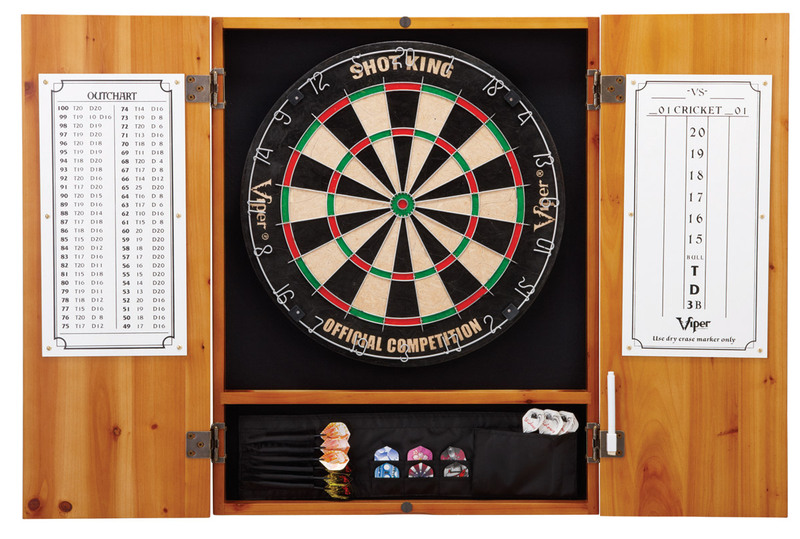 It is designed for use with steel-tip dartboards. 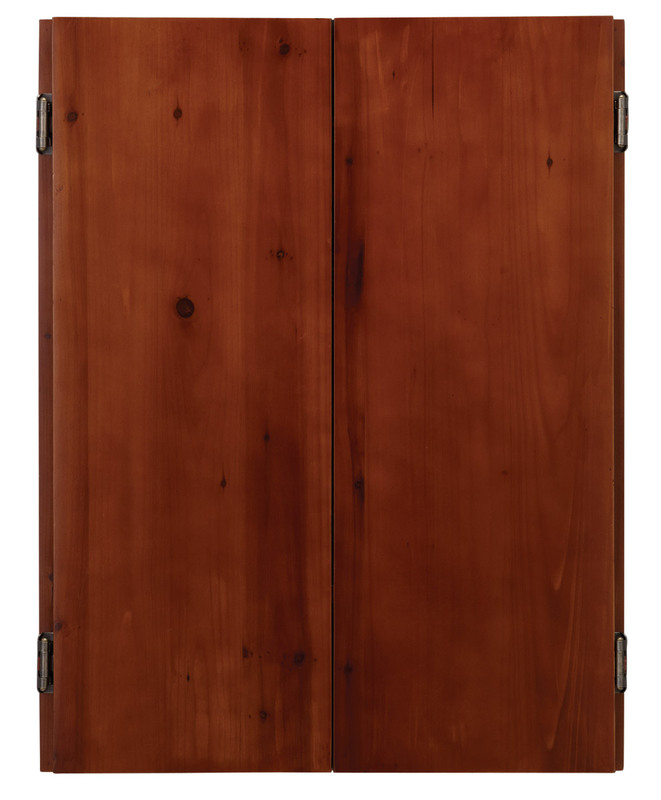 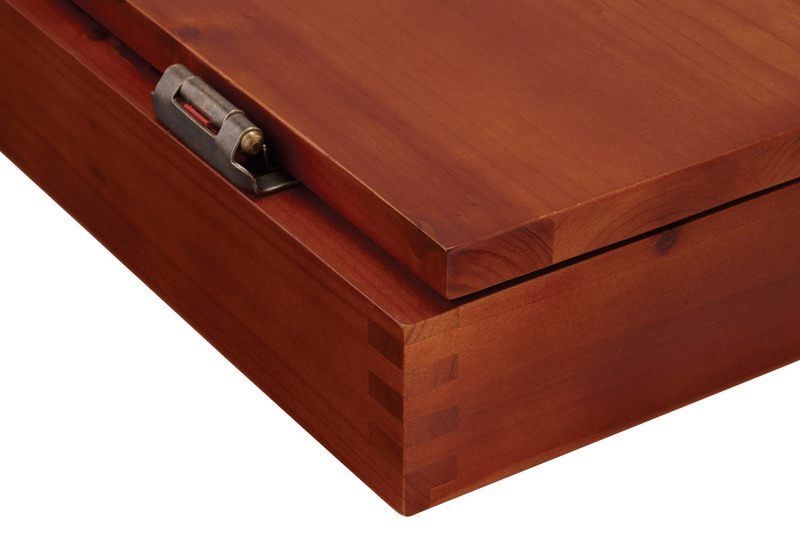 The cabinet is made from solid pine with brushed nickel hinges. 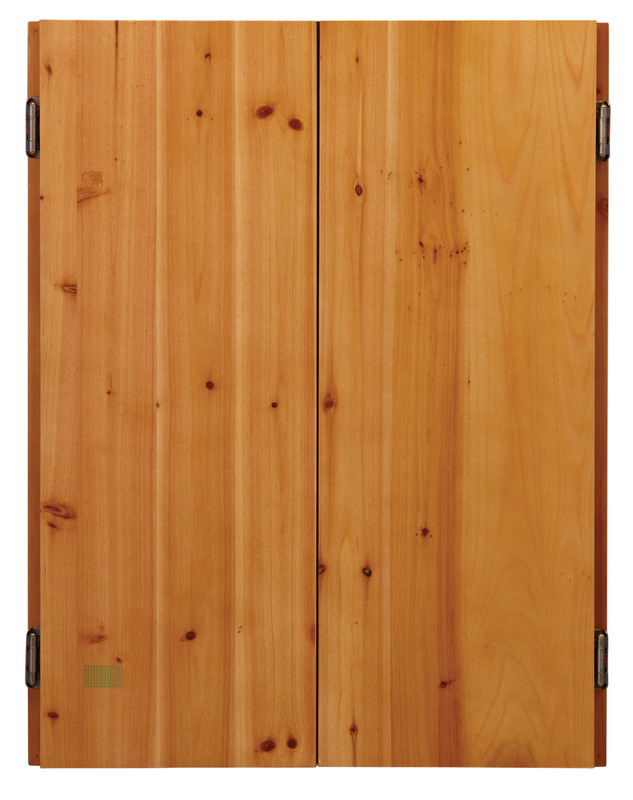 This cabinet is straightforward and easy to coordinate with any game room. 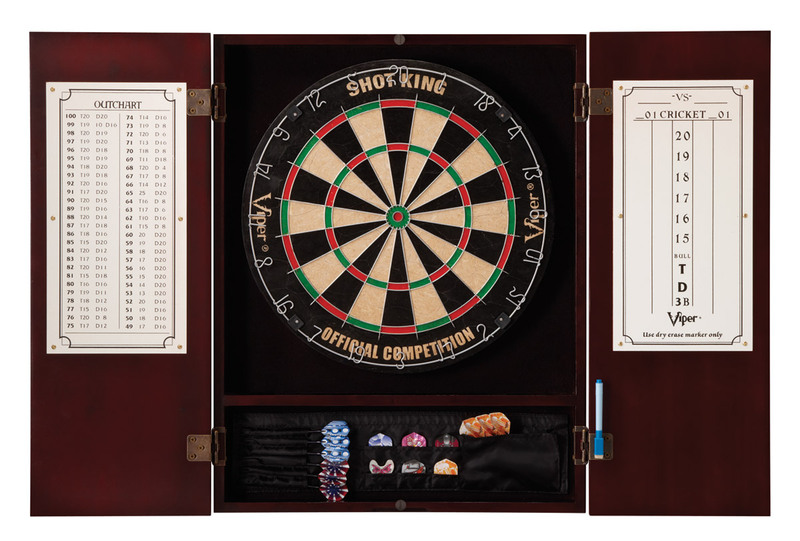 Includes dry erase cricket and outchart boards and dry erase marker. 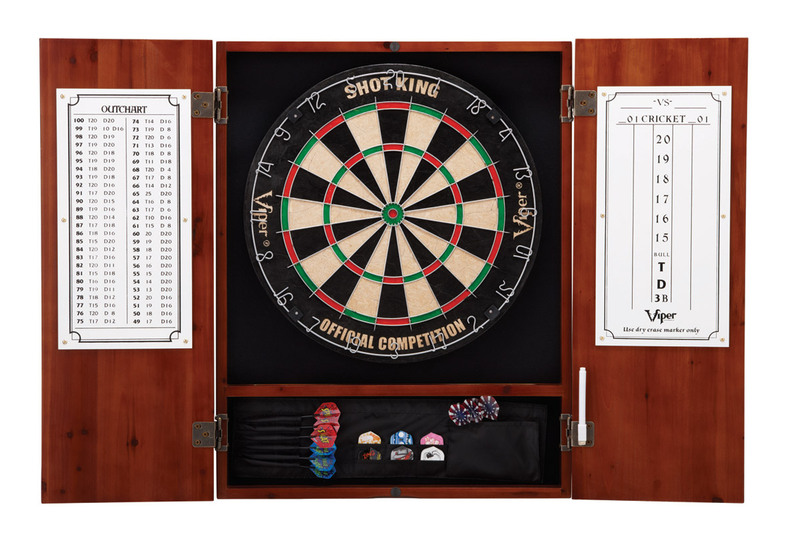 Dartboard and other accessories not included.